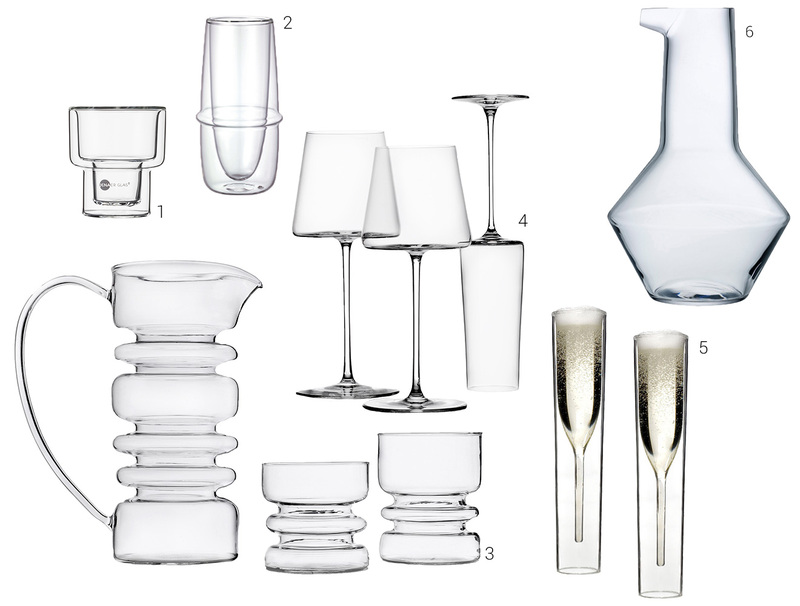 Ambiente Blog • A toast to the glass. Glass design is the ultimate challenge. The feel of the vessel in the hand and on the lips should be pleasant, it should add to the table décor and, ideally, Bordeaux will land on just the right taste receptor on your tongue when you drink from it. These exacting demands inspire designers to play with shape, colour and cut. From small glassblowing workshops to industrial factories, beautifully crafted statements are being produced. Even glasses that at first glance seem quite normal can surprise with their feel and sophisticated details. They strive for perfection. Their creations must be functional, they must be aesthetically pleasing, and they must be able to stand up to the stresses of everyday life – just like well-constructed buildings. 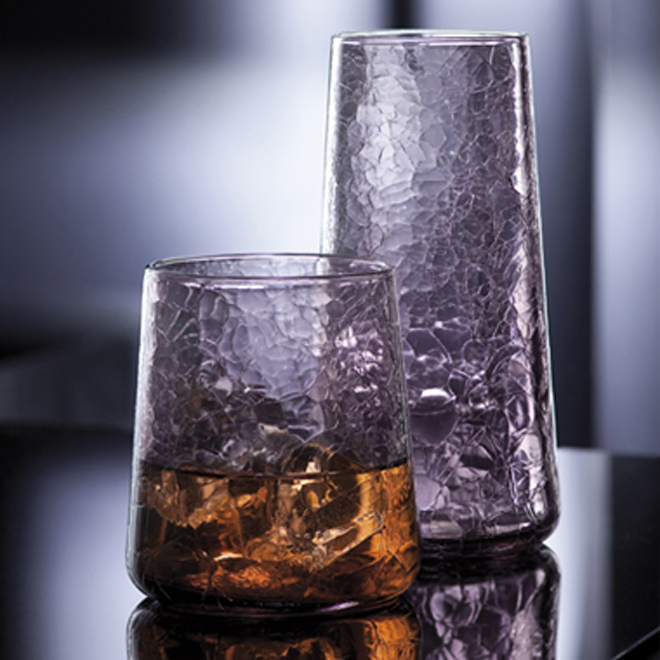 The primary function of double-walled insulated glasses and cups is to keep beverages cool or warm, but the visual effect can be just as impressive. The contents almost seem to float. In addition to insulated glass, there are lots of other beautiful examples of technical glass with straight lines, geometric designs or in shapes reminiscent of the laboratory. 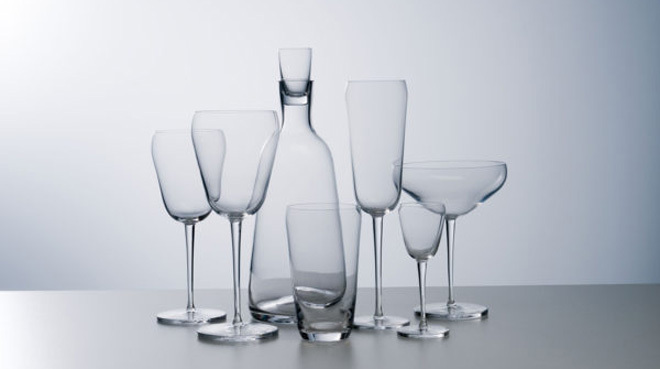 As with other tableware, the handmade look is also popular for glasses. 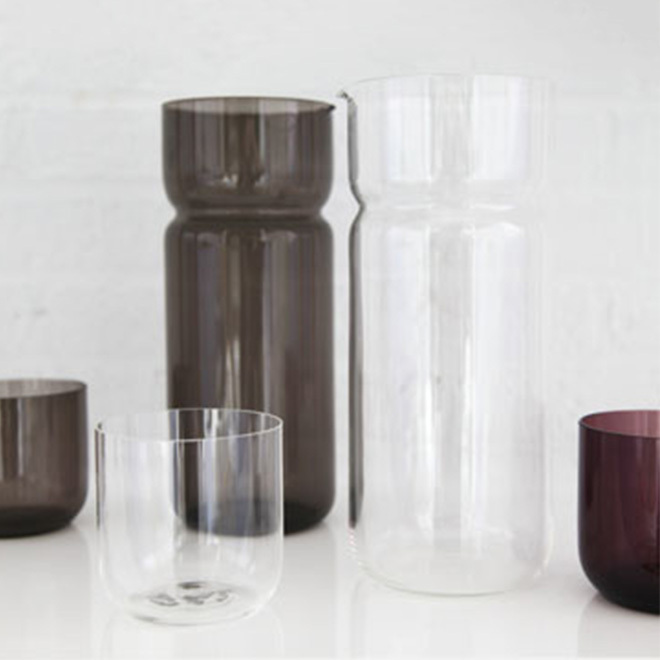 Various intentional design elements ensure individuality, such as irregular textured surfaces that make the glass look as if created in the freezer, or enclosed bubbles that are regarded in glassblowing as imperfections. Natural tones, especially from the smoky colour palette through to amber hues, are popular in bars from Paris to Tokyo. 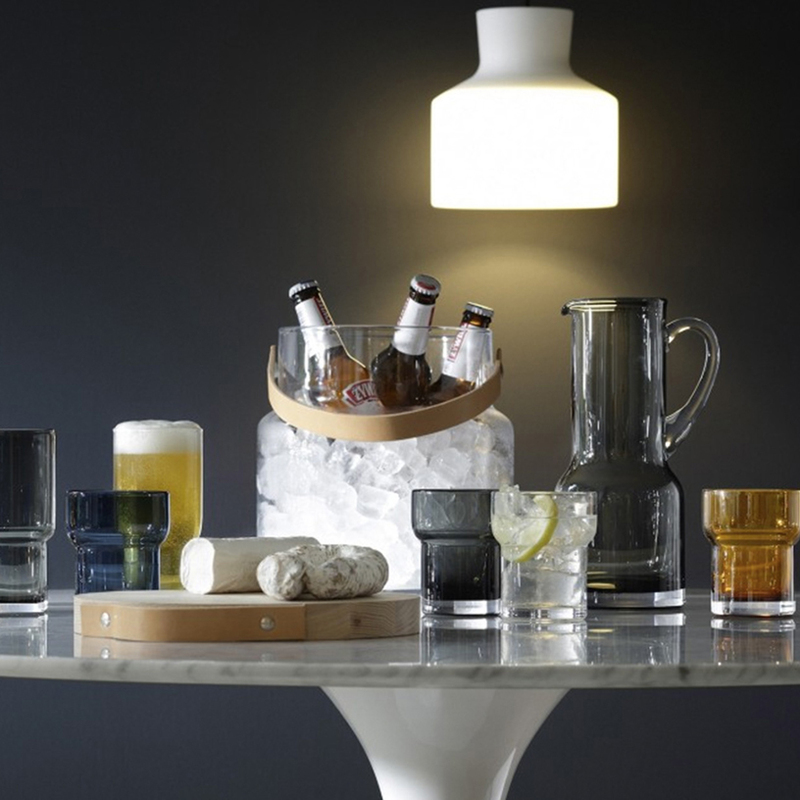 Dark glasses create a casual bar look and a cool feel. 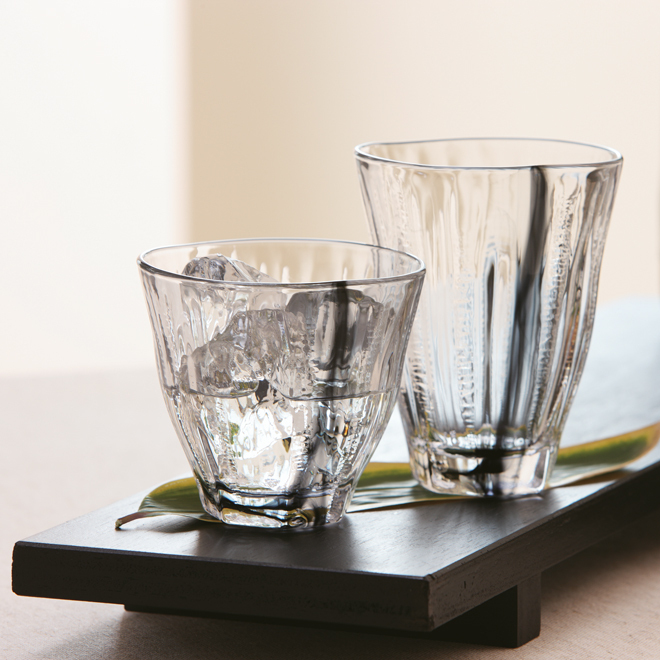 They are also the ideal thing for drinking a glass of water at home. Retro Murano-style glasses are experiencing a clear revival. They are no longer confined to display cabinets but are also used in table settings and as everyday objects. 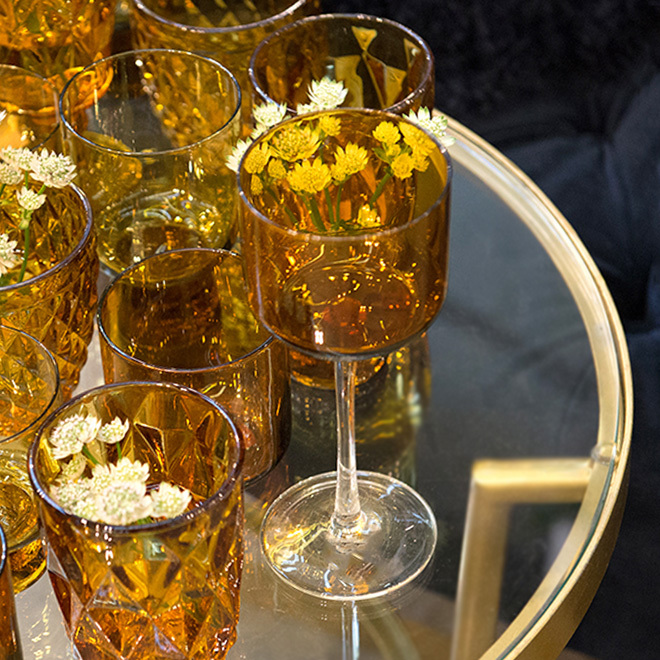 Equally elegant are glasses and carafes with honeycomb structures and finely cut patterns, which look like luxurious perfume flacons and work wonderfully alongside simple stoneware as part of a trendy mix-and-match table setting. The carafe by Rückl with a drinking cup used as lid decorates the table like an elegant vase.